Chico's FAS Inc warned in January that it would shutter at least 250 stores across its namesake brand, along with its White House Black Market and Soma labels. But the US women's clothing chain is expanding a different storefront - its Chico's-branded micro site on Amazon.com Inc. The world's largest online retailer now sells around 2,300 Chico's styles, from crease-proof trousers to fine-knit sweaters, representing nearly six times more product offerings than when it started last May, Chico's told Reuters. While that growth should entice any retailer, Chico's is one of a growing number of clothing brands treading carefully. From Nike Inc and Under Armour Inc to Lands' End Inc and Levi Strauss & Co, major brands are distributing clothing and accessories directly through Amazon.com, attracted by more than 100 million members of Amazon's loyalty club Prime and its advanced delivery network. The risk in this relationship, according to interviews with retailers and industry analysts, comes if Amazon uses real-time data from customer purchases to help it quickly build out its own private label clothing brands, and ends up stealing market share from its current retail partners. "The word that's most commonly used with respect to Amazon from a brand perspective, and also retailers to some extent, is 'frenemy,'" said Kate Delhagen, an independent retail consultant and former senior director of global digital business development at Nike. She had input into Nike's decision process to partner with Amazon, but left the shoe company shortly before the deal was finalized in July 2017. Recognizing the concern from retailers, the European Commission has launched a preliminary antitrust investigation into Amazon and whether it might "gain access to competitively sensitive information about competitors' products which it could use to boost its own retail activities at the expense of third party sellers on its marketplace," an EU spokesman said. Amazon declined to comment on the early-stage probe, or say how many private label clothing brands it had and how fast it was churning out new ones. A spokeswoman said Amazon's private label products account for about 1 percent of its total retail sales. "Our private brands supplement the great assortment that our selling partners provide," she added. A Nike spokeswoman said its business with Amazon continued to perform well, but said the company's approach was broader than Amazon alone and that it continued to engage with a number of digital marketplaces. To sell through Amazon, Chico's and other clothing retailers can either sell product to Amazon in a traditional wholesale relationship or sell directly to consumers as third-party merchants, paying a 17 percent referral fee on clothing and accessories sold. Retailers pay Amazon extra to store and ship their orders under the 'fulfillment by Amazon' model. 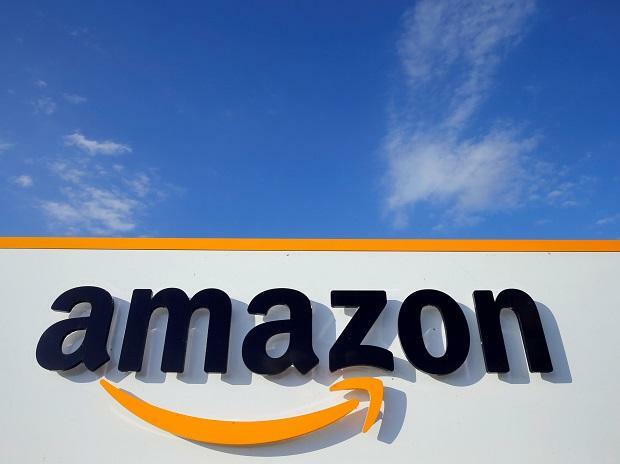 Amazon has set a goal of being a leader in the apparel space for around a decade, former Amazon director Mike Pazak told Reuters, and has invested heavily in the sector. It has recently ramped up its own private label apparel brands. It had 109 of its own brands in clothing, shoes and jewelry categories at the start of 2019, which is more than a five-fold increase over two years, according to TJI Research. "It's something we're aware of and understand the risks," said George Nahra, senior vice president of strategy, business development and international at Chico's, which flies executives to Seattle regularly to review the growing Amazon business. Amazon markets fashion across the world from Brazil to China. It has made its Prime Wardrobe concept, which allows Prime members to order clothing with no upfront charge and free delivery, available in the United States, Britain and Japan. The online giant has sponsored fashion weeks in the United States, Mexico, Japan and India and has photography studios for fashion shoots in New York, London, Tokyo and New Delhi. It is a patron of the British Fashion Council. Following an upheaval of consumer habits, which has led to the shuttering of thousands of small apparel stores, Amazon has overtaken Walmart Inc as the most-shopped clothing retailer in the United States, according to a Coresight Research survey. In Britain, Amazon has outpaced Marks and Spencer Group PLC as the most-shopped clothing retailer, according to an HSBC survey. Amazon Prime member Abby Kidd bought a pair of Silver brand $80 jeans the first time she used the Prime Wardrobe service. "I doubt I'll look anywhere else for jeans as long as Amazon keeps expanding their options," said the 35-year-old private tutor, based in Oak Harbor, Washington who also shops at chain stores Macy's Inc and Maurices. Classic American clothing retailer Lands' End turned to Amazon more than a year ago when it looked to increase sales after a bruising exit from previous owner Sears. "We'd be ostriches sticking our heads in the sand if we didn't take heed and pay attention to where customers are going," said Sarah Rasmusen, senior vice president of e-commerce at Lands' End, founded in the 1960s as a mail-order business. Lands' End started selling core items such as flannel shirts and down coats on Amazon in February last year as part of its strategy to branch out from troubled Sears stores, where it has lost dozens of retail locations. Lands' End's key swimwear lines compete with Amazon's Coastal Blue swimwear private label on the site. Both Chico's and Lands' End declined to say what percentage of their sales were made through Amazon, but said the platform was a useful customer acquisition tool that was not drawing clients away from their own e-commerce sites. A gripe for retailers is that selling on Amazon loses the direct customer relationship they get from their own website or store. "You don't know where your customer's coming from, you don't know what they're clicking on once they get to the site," said Melanie Travis, founder of upmarket swimwear brand Andie who has talked to Amazon, but decided against selling on the platform. Others are satisfied with the limited data they get from Amazon. For instance, Chico's gets enough to mail catalogs to new Amazon customers, said senior vice president Nahra. Canadian shoe retailer Aldo, which deepened its 10-year relationship with Amazon to a wholesale model this year, said it receives more information as a result, such as the basket composition of customers who buy Aldo's products on Amazon. That allows it to adapt its product offering accordingly. Insights shared by Amazon can influence how the retailer designs collections, Aldo said. Its products compete with Amazon's footwear private label The Fix on the platform. "There's an interesting partnership you get by selling to Amazon instead of selling through Amazon," said Justin Cohen, senior director of e-commerce for Aldo North America. "We're just starting to lean back into that relationship."